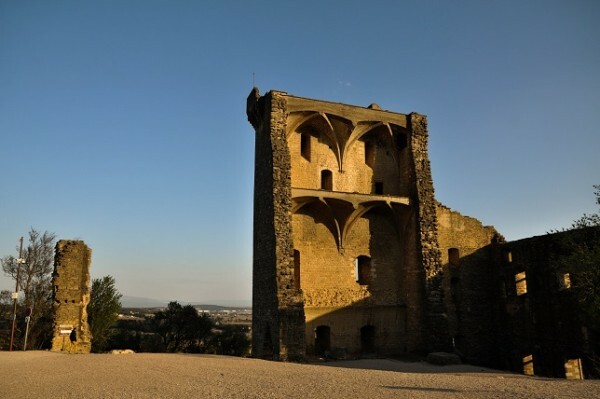 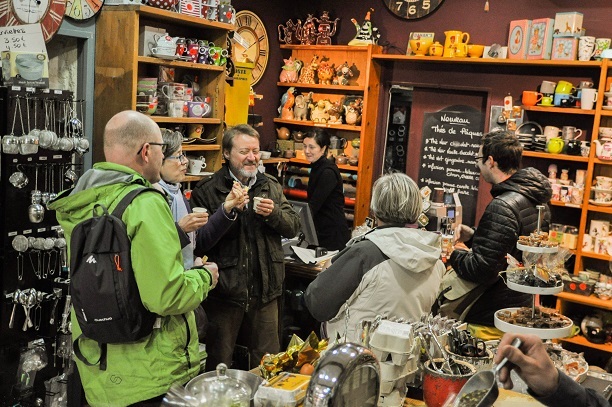 For the second season this year we will be running our ‘Food & Wine Day Tour’ in partnership with Romain Gouvernet from Provence & Wine so I have decided to write a dedicated post to this fantastic experience our customers can book. Romain is a sommelier graduated from a famous wine school in Paris, who started his own wine tour business in 2014. When we first met, we quickly found out that we had a similar approach in the way we both worked: we are both passionate about what we do, we aim at delivering the best possible service and we want our customers to have a unique experience, away from the crowds. 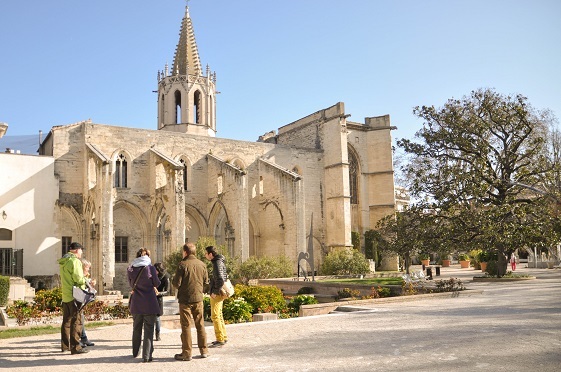 We then came to the conclusion that our activities could be combined in a full day package, focusing on Provence food and wine. 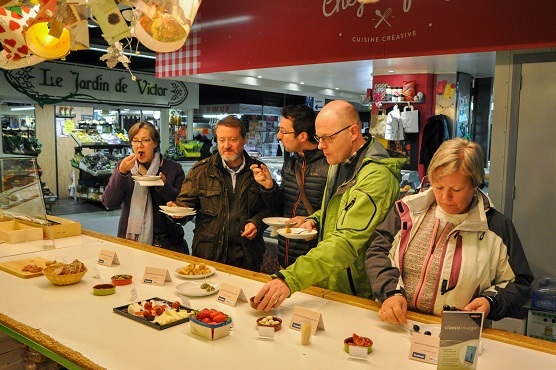 What does our ‘Food & Wine Day Tour’ include? 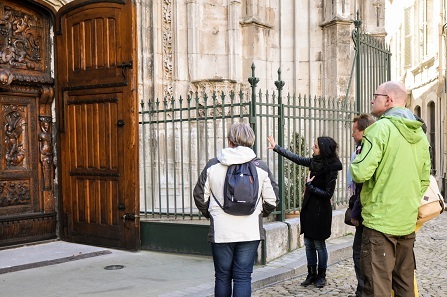 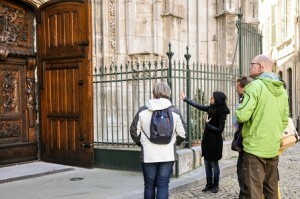 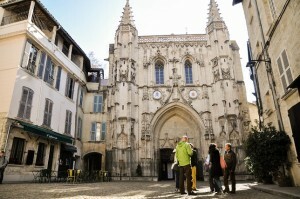 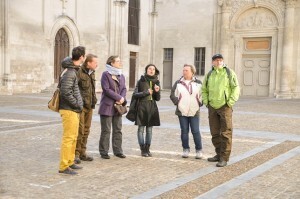 seek a unique way to discover the city of Avignon, taste local food and wine, no other tour will offer a more complete experience. 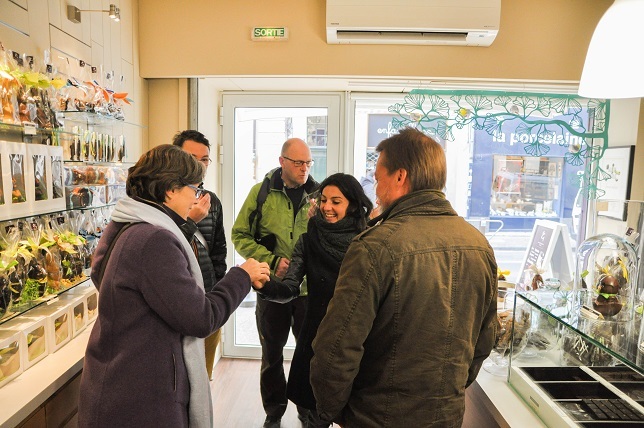 In the morning, customers join my ‘Taste of Avignon’ tour, a 3h walking tour around the city of Avignon where they will discover the Provençal food specialties as well as artisan shops and the central market. 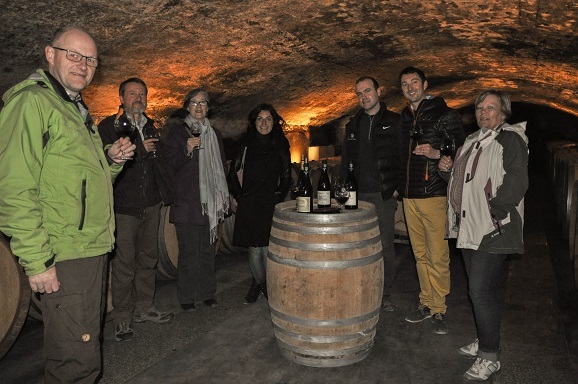 After the morning tour, our customers have about 1 hour free time before the start of their afternoon in Châteauneuf-du-Pape. 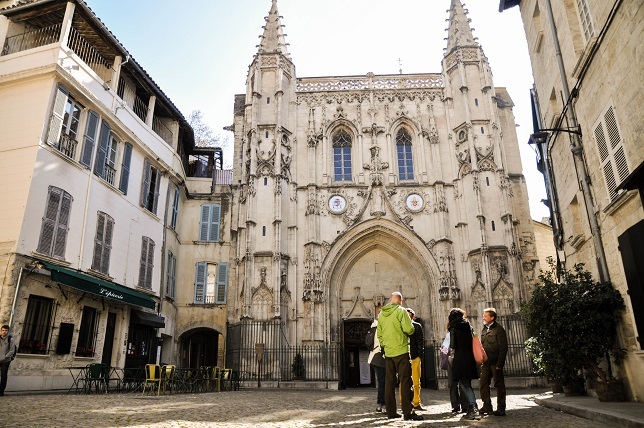 At 1.30am, Romain meets our customers in the city center of Avignon to start their wine tour and they head to Châteauneuf. 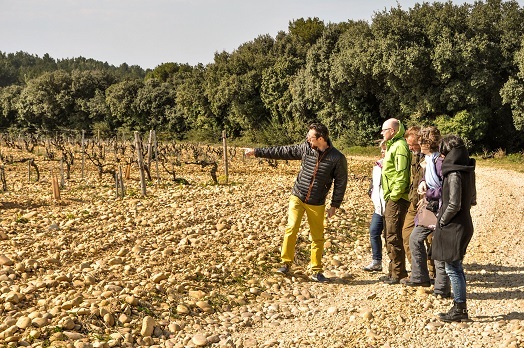 After a 20 min drive, Romain stops in the beautiful vineyard to share the secrets of the ‘Terroir’, explain the pruning process and other useful information. 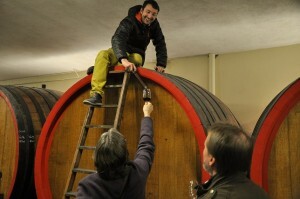 Afterwards, customers visit two wineries where they will taste a selection of whites and reds. 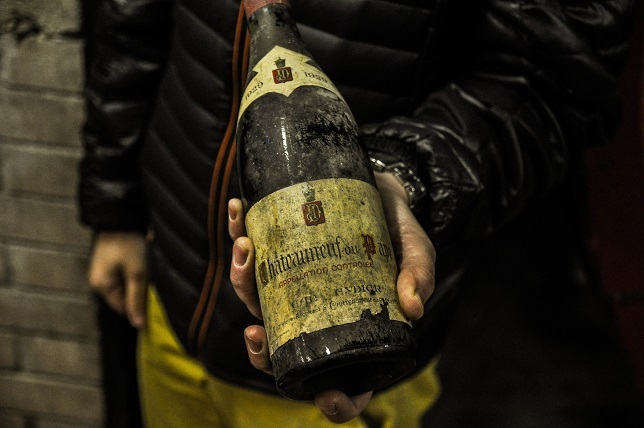 At the end of the day, Châteauneuf du Pape will have to secrets for them anymore! 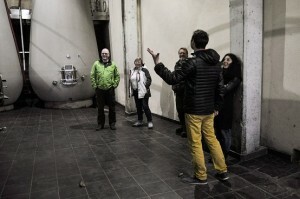 Our wine tour runs from Tuesday to Friday 9.15am – 5.30pm. Price : 140euros per adult, English language only.